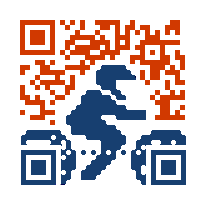 When a graphics is integrated into a QRCode, it is also possible to re-use the graphic integration. Both images hold the same graphic but have a different link. 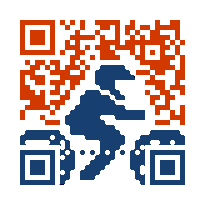 The left QR Code links to the dutch landingpage of motorcamping, while the right QR Code links to the german landingpage. This possibility to have the same picture in the QR code can also be applied for telephone numbers, email adresses, etc. A second or multiple link reusing the same QR graphic is charged against a reduced price compared to a single QR Code. Generation of Multiple QR Codes with the same branding can currently also be offered as an online service. Please check the tool for this service with this link.